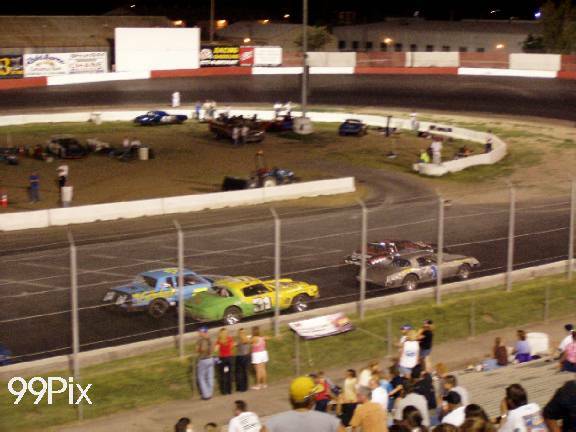 Stockton 99 Speedway hosted another evening of competitive racing on July 26, 2003. Five big main events drew an excited crowd of race enthusiasts for the NASCAR DODGE WEEKLY SERIES. 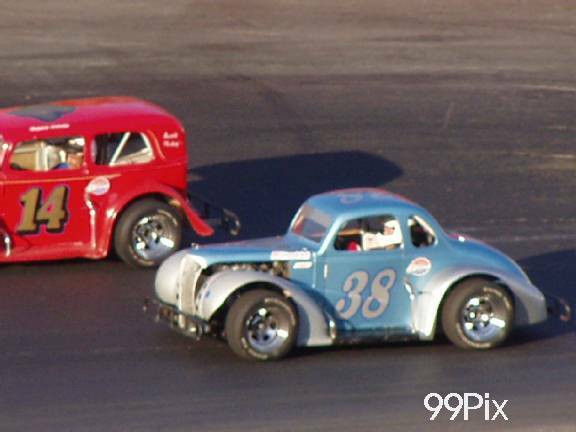 The evening included the Premier Western Late Models, Grand American Modifieds, Pro 4 Trucks, Pure Stock and Legends. In the Premier Western Late Model division John Moore of Granite Bay had a tight grip on the lead for the first half of the HAVOLINE C.L. BRYANT sponsored division. 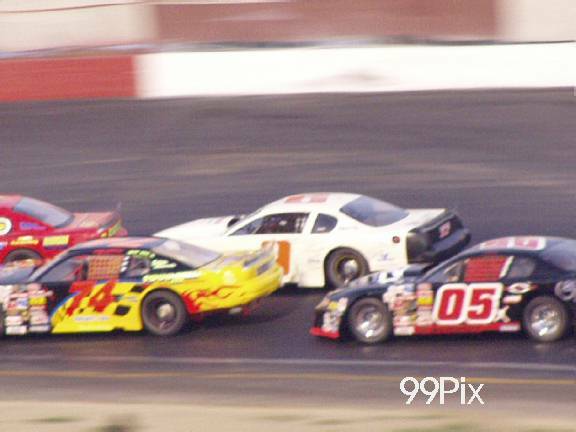 Wes Miller, #2, of Turlock was in hot pursuit of Moore, #27, in second and Pete Anderson, Jr., #5, of Stockton was third for the first three laps until Anderson, Jr. passed Miller, opening up an opportunity for ace driver Harry Belletto, #74, of Modesto to move past as well. 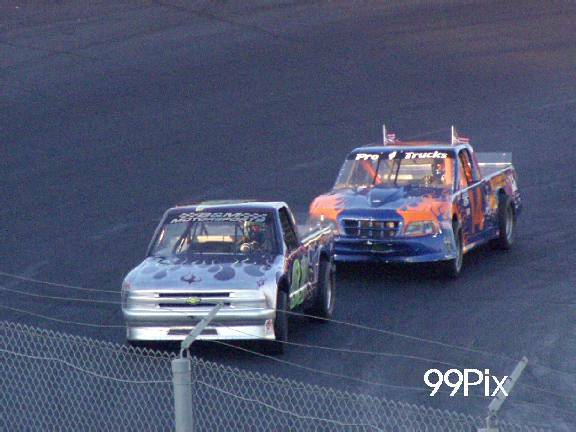 Moore began to loose his momentum after a caution flag halfway through the race. 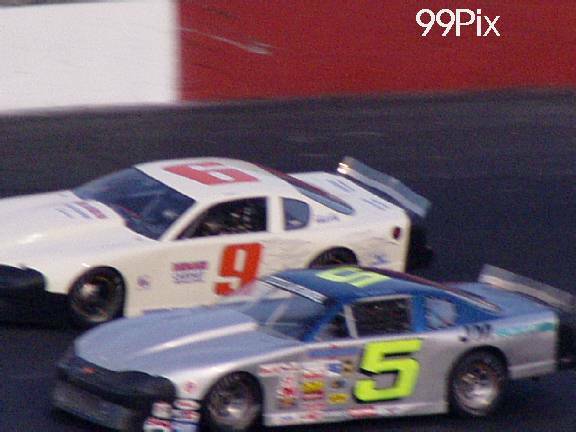 Anderson, Jr. quickly maneuvered around Moore for a very short lead. Points leader Eric Schmidt, #05x, from Roseville came from the inside and went head to head with Anderson, Jr. Schmidt and Anderson, Jr. brought the crowd to its feet as Schmidt shut the door on Anderson, Jr. and claimed the lead with a dozen laps to go. Schmidt set fast time for the night and finished second in the Trophy dash and took the checkered flag victory. 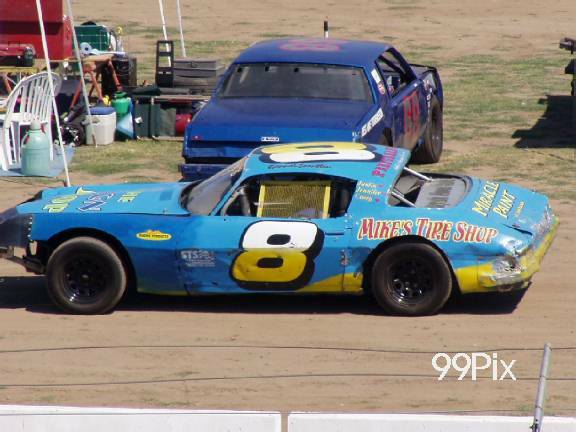 Anderson, Jr. had the second place finish, Trophy dash winner Dave Byrd, #9, of Pacific Grove was 3rd, Harry Belletto placed 4th and John Moore rounded out the top five with a 5th place finish. 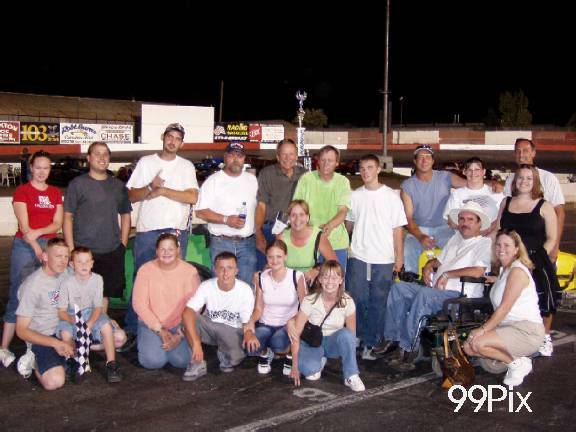 Points Leader Jay Linstroth, #10a, of Citrus Heights smoked the competition in the Grand American Modified Division. Straight off the start Trophy dash winner Linstroth secured the lead from his outside pole starting position and never looked back acquiring his fifth win of the season. Linstroth dominated the race leading every lap. Fast qualifier Greg Williams, #2, of Ceres followed in second place trailing Linstroth consecutively for a 2nd place finish. 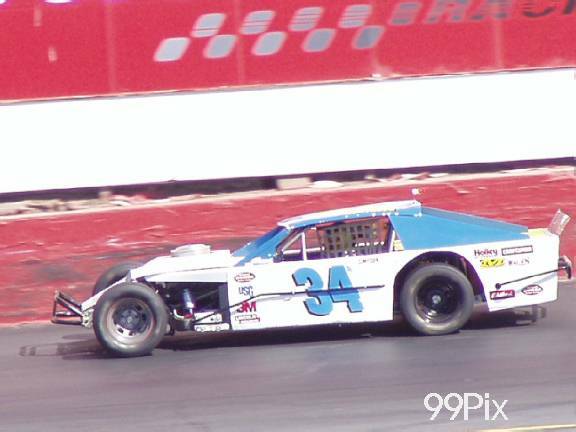 Two-time season winner Jason Philpot of Sacramento attempted to dominate Williams pressuring him from the inside but was unsuccessful and placed 3rd, Chris Mays crossed the finish for 4th and Ted Montegue, #34, was 5th. 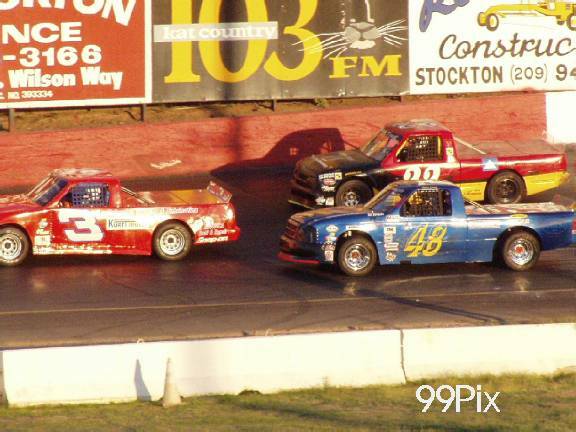 In the Pro 4 Trucks Division Brandon Trevethan, #4, of Tracy swiftly moved into the lead after the start, closely tailed by Bret Barney, #81, of Rohnert Park. 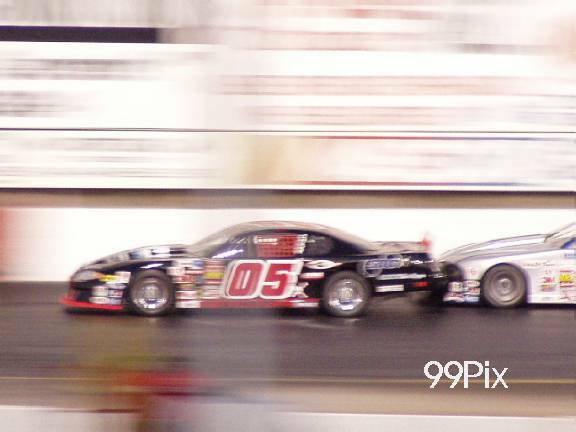 It was a heated battle as Barney and Trevethan went two wide in lap five. Trophy dash winner Barney seized the opportunity maneuvering past Trevethan from the inside for the sixth lap lead. 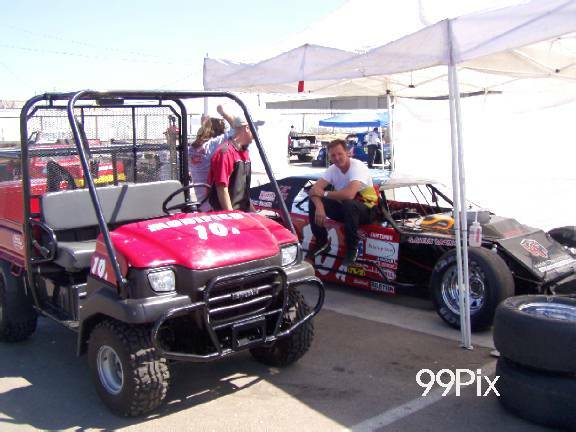 Trevethan lost his chance at victory when he fell behind leaving his position wide open for #14, Gary Franks. Points leader and fast qualifier Carrie Miller, #27, of Saratoga slipped into third, who later unexpectedly coasted into the pits and was out the remainder of the race. Two thirds into the race Randy Jahoda, #71, of Tracy displaced Franks for second, but was overcome himself by Todd Lewis, #5, who sprinted past. Barney crossed the finish with an impressive one-third-lap lead for his first victory of the season. 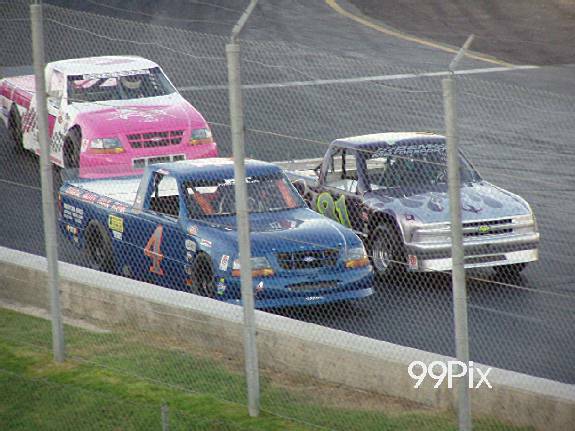 Jahoda placed 2nd, Mike Curry, #48, was 3rd and Todd Lewis finished in 4th place. 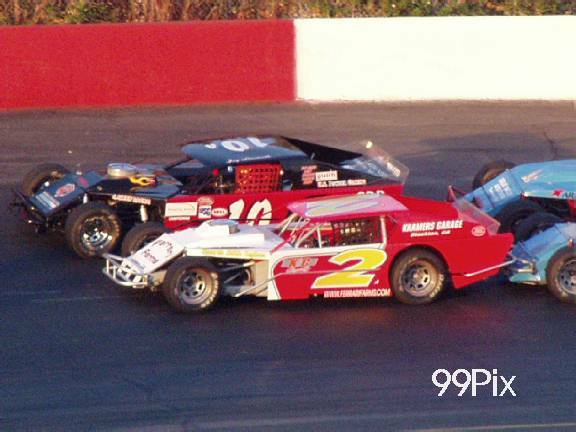 The exciting Pure Stock’s returned with a 26-car field. B-Main Winner Jacob Cordoza transferred to the A-main, as well as David Ball, Ray Bird and Chet Hopkins. In the A-main, Kannai Scantlen, #8 of Stockton started on the pole. 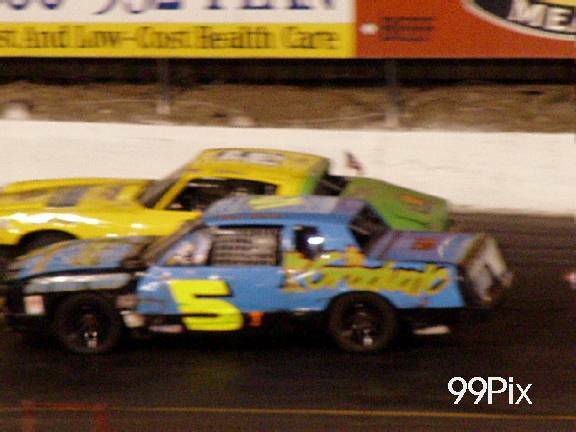 Stockton native Richard Harper, #5, followed Scantlen in second only to gain his position with a swift pass for the fifth lap lead. 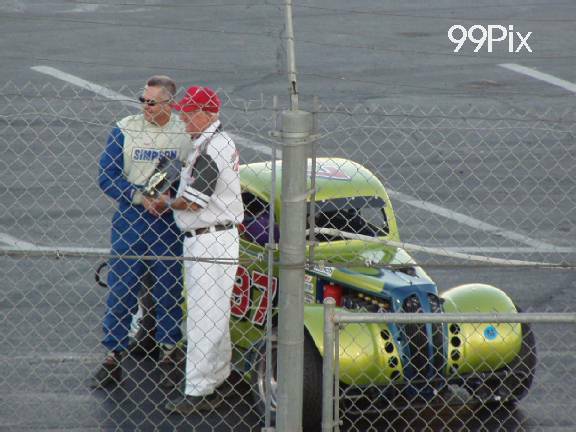 Five-time season victor and Trophy dash winner Gary Schafer, Jr., #96, of Stockton took Scantlen’s position and made his way to the lead with ten laps to go. Schafer, Jr. bolted to first place and dominated for ten laps until Michael Wendt, #1, of Lodi and Schafer, Jr. went wire to wire for the lead. Wendt was able to take the lead. 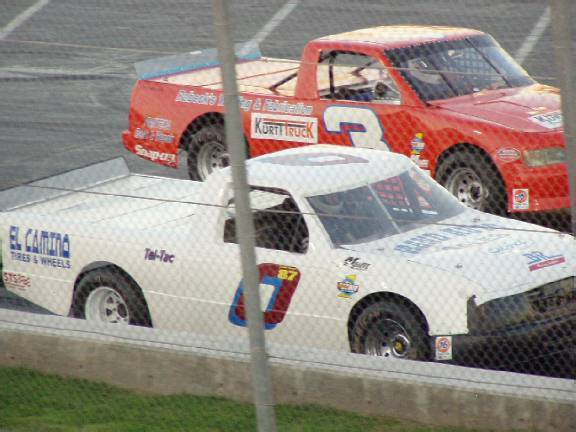 The aggressive battle continued with Wendt spinning, track officials sent Schafer, Jr. to the back of the pack for his involvement following the caution flag on lap nineteen, but managed to place 4th. Wendt and Schafer, Jr. are tied for second place points with 587. 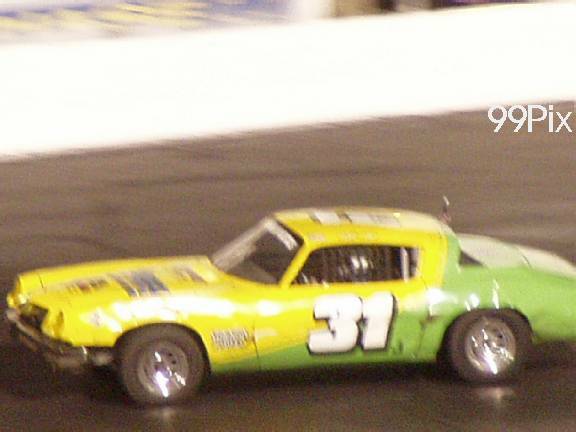 Points leader Jeff Ahl, #31, of Lodi worked his way to the front for his first checkered flag finish. 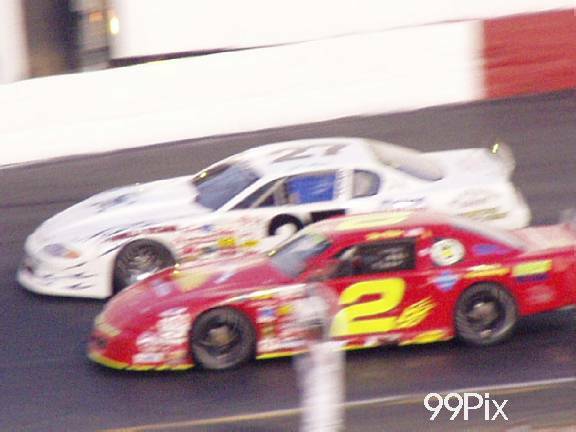 Kannai Scantlen was able to move into second behind Ahl and remained there for the duration of the race; Joe Allen, #03, of Stockton took 3rd place. Fast time setter Wendt finished seventh. 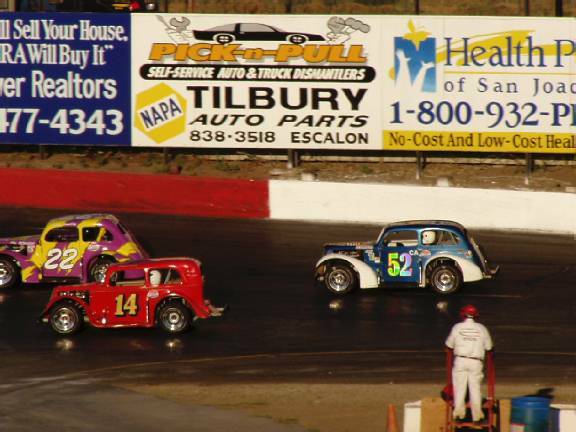 In the Legends Division Hank Smedley, #22, of Pittsburg started on the pole, but Kelly Martin, #38, of Modesto recalled the position in the fifth lap and was followed by, #5, Steve Fensler, Jr. and Richard Appleby, respectively. After a caution flag fast time setter Frankie Winchel, #14, of Sabastopol weaved his way to the lead, but left the track with mechanical woes in lap twenty-one. 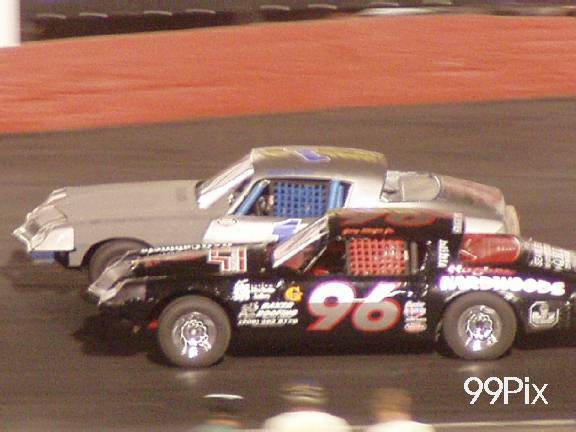 Rookie driver Chuck Scott, #97 of Elk Grove snuck past Steve Fensler, Jr. from the outside and took the lead for his first win of the season. 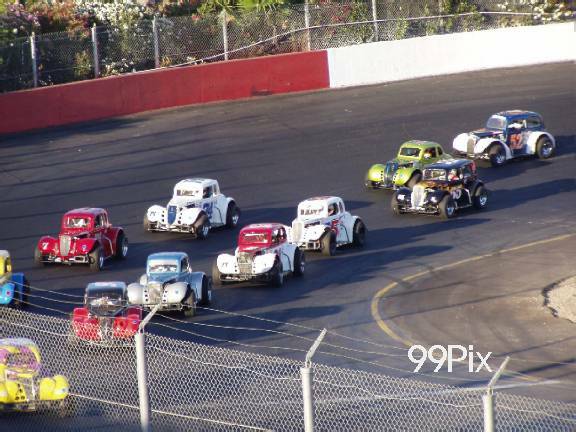 Fensler, Jr. crossed the finish for 2nd place, trophy dash winner Ryan Mosher, #52, of Cupertino placed 3rd, Pete Currin of Redwood City was 4th and Wayne Estes finished 5th. 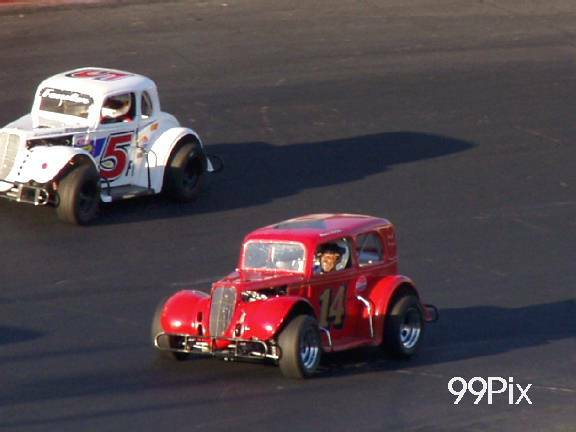 Saturday August 2nd will feature CRAFTSMAN NIGHT with five big main events for the NASCAR DODGE WEEKLY SERIES including the Premier Western Late Models, Grand American Modifides, Pro 4 Trucks, Pure Stock and Legends.